Since the late 1930's, three generations of the Madrigal family have farmed some of Napa Valley’s finest vineyards. The family history is a constant source of inspiration, and guides us in our wine making now. We value the long relationship we've had with the land and the people here, believing that the combined wisdom of the folks who’ve been here for generations and a deep appreciation of these vineyards can be tasted in our wine. Today, the company is run by Chris Madrigal, the founder's grandson, and vintner of Madrigal Family Winery. Chris' grandparents left Mexico in the late 1930's and arrived in the Napa Valley where they began farming apples, pears, walnuts and grapes. They were one of the first, if not the first, Mexican family in the upper valley. Chris' father, Jess, early on chose to focus on wine and started the family's vineyard management business. Today, that company manages over 800 acres. 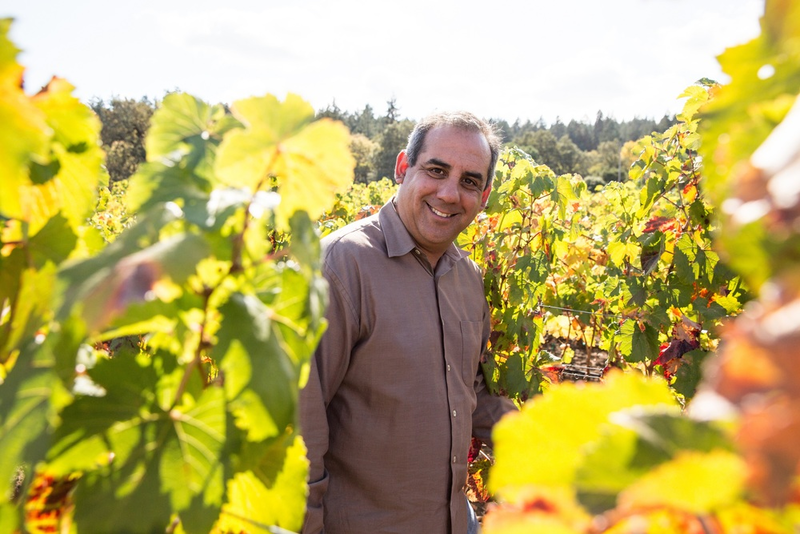 As a member of the 3rd generation of the Madrigal family, Chris continues the family's commitment to excellence and its legacy of developing outstanding vineyards and award-winning wines. Read the Madrigal Family story here! Chris ultimately attributes the family’s success to a strong work ethic. He also believes that luck has its hand in the equation. “I always say sometimes it’s better to be lucky than good. I like being good and a lot of the things that have happened in our life has been a result of working hard, but if there wasn't luck involved with it, or if we weren't at the right place at the right time, our story could be drastically different. Be it luck or hard work, the Madrigal dream is alive and well! Madrigal Family Winery is a portfolio company of Bacchus Capital Management, an investment firm providing strategic capital and making equity investments in United States family owned wineries and wine businesses. Madrigal Family Winery is located on Highway 29, between Calistoga and St. Helena. The winery is situated on 40 acres of estate vineyards. The Madrigal winery produces about 6,000 cases of wine a year, specializing in Cabernet Sauvignon, Petite Sirah, Gewurztraminer, Zinfandel, Sauvignon Blanc and small lots of single vineyard and estate wines. Visit us to experience the exceptional wines, friendly atmosphere and 3rd generation family hospitality.